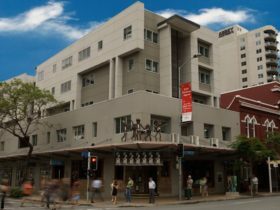 Welcome to Quest Breakfast Creek Apartment Hotel Brisbane “A home away from home”. Comprising 132 fully self-contained studio, one, two and three bedroom apartments, Quest Breakfast Creek is the perfect choice for both the corporate and leisure traveller. 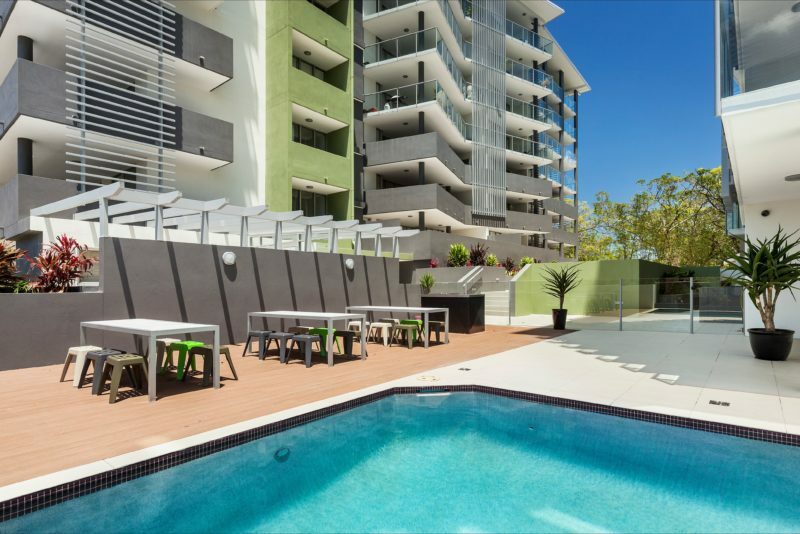 Quest Breakfast Creek is conveniently located on Amy Street, close to Brisbane Airport, Brisbane Cruise Terminal, Portside, Eat Street, Eagle Farm Racecourse, Doomben Racecourse, Albion Park Raceway and across the road from the famous Breakfast Creek Hotel. 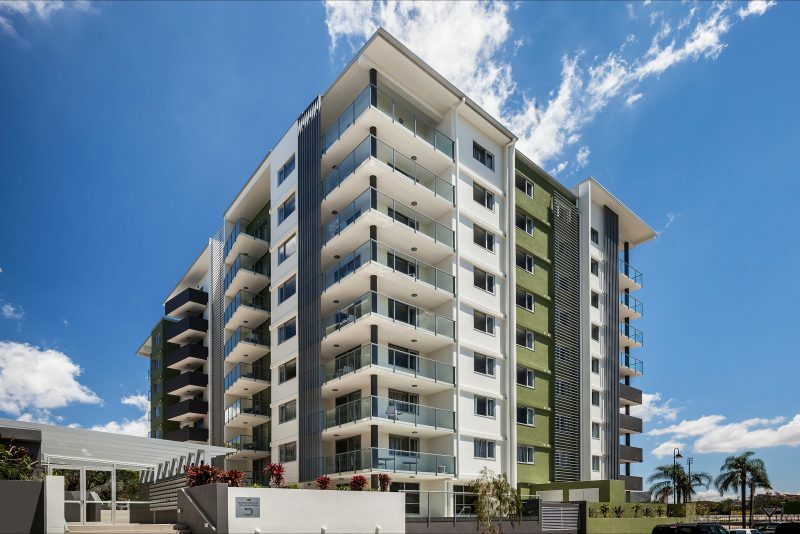 Catering for your overnight, short and long term Brisbane apartment accommodation requirements. 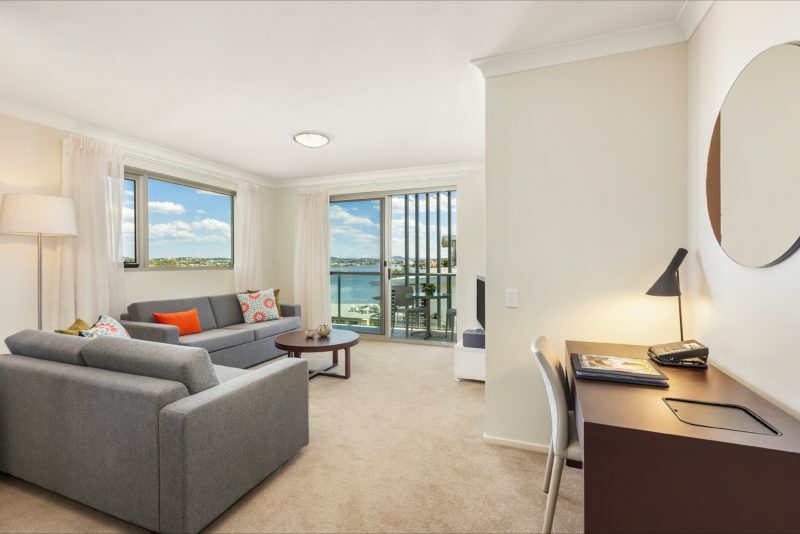 Quest Breakfast Creek apartments have been stylishly finished to the highest standards. All apartments are modern with fully equipped kitchen, private laundry (excluding studios) dining and lounge areas with space to relax and unwind. 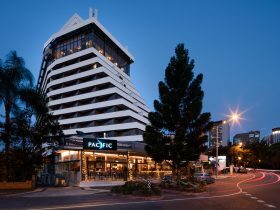 Foxtel, LCD flat screen television and broadband internet access with each apartment featuring a desk, catering for the business traveller. Most apartments also feature a balcony. Other features of the property include on site, licenced mini-mart, undercover car parking, pool and gymnasium. Quest Breakfast Creek also offers a fully equipped conference room for all of your meeting and small conference / seminar / training requirements. Catering can be arranged and parking is available for conference delegates. Their Three Bedroom Apartments offer two fully equipped kitchens, laundry facilities, balcony and a spacious living area. Enjoy the space and comfortable furnishings including, in room safe, two LCD flat screen televisions, high speed broadband (charges apply) and reverse cycle air conditioning. 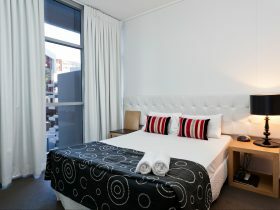 Accommodating up to six guests in either three king size bed, or beds can be split into six single beds. 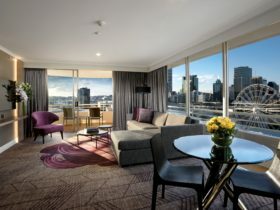 An ideal alternative to a traditional hotel room, their studio apartments are spacious and also offer kitchen facilities, FOXTEL, in-room safe, LCD flat screen television, work desk with access to high speed broadband and air-conditioning. Their one bedroom apartments feature a separate bedroom with a king sized bed, a modern fully equipped kitchen, dining table, separate living area, in room laundry facilities and a balcony. Perfect for leisure or business people travelling for one night, one week or one month! You will not be disappointed! Their two bedroom apartments feature two king sized beds (can split into two singles on request), a modern fully equipped kitchen, dining table, separate living area, in room laundry facilities and a balcony in some apartments. 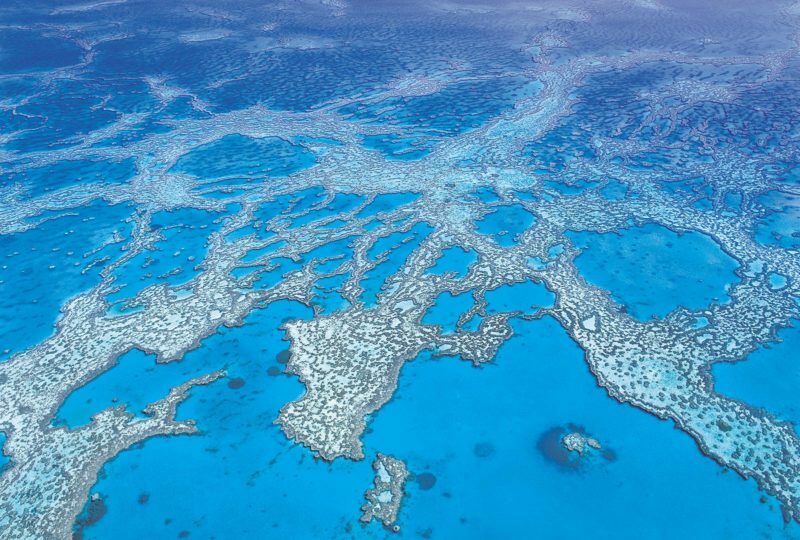 It’s your home away from home, you will not be disappointed! Guests are offered the choice of spacious One, Two and Three Bedroom Apartments as well as a comfortable hotel style accommodation in their Studio Rooms.